This week, Seattle Public Schools made a major announcement: The Seattle district was moving the start times for high schools and most middle schools to 8:45 am. With the American Pediatric Society suggesting that high school students perform best when schools start at 8:30 or later, Seattle's school board championed the change as a step toward better academics. So what about in Spokane? After all, earlier this year, Hans Van Dongen, director of Washington State University’s Sleep and Performance Research Center, suggested Spokane high school students should get more time to sleep in. At Spokane Public Schools, the 8 am start time for high school students is smack-dab in the middle of the nationwide average. When the Spokane district was analyzing adding an extra half-hour to its elementary school day recently, it also considered moving high school start times as well. Yet while middle school start times were ultimately moved to 9 am, high school times remained the same. Part of the issue is that bus schedules are a sort of complicated logic problem. Move one piece, and the other pieces have to move as well. A later start time for high schoolers would likely mean an earlier start time for elementary school students. "We looked at the sun rising and setting in the winter months," Chief Academic Officer Steven Gering says. If elementary school students were walking to the bus in the dark, and crossing busy streets, it could be a safety problem. Not only that, Gering says, while there is an academic benefit for an earlier start time, it's a small one. An article in American Educator cites three studies. One, from Minneapolis, suggested later start times resulted in less depression, fewer absences and less reports of students sleeping in class, but had not discernible impact on student grades. The second, from North Carolina, found high schools that switched to earlier start times saw a 2 percent decline in standardized test scores. And a third, from the Air Force Academy, found that students that happened to have later start times earned higher grades. But the overall effect is about "d=.10" the article says, statistician-speak for a measurable, but small, effect. And for Spokane Public Schools, there's another problem: sports. Unless the surrounding districts in the Greater Spokane League changed their start times as well, athletes would consistently miss more sixth period classes to attend meets and games. And that, too, could have an academic impact. Gering isn't opposed to changing Spokane's high school start time, he says. It just wasn't hasn't been a top priority for the district so far. Did the school district consider recent research that has documented the need for adolescents to have more sleep? Were there considerations to started high school and/or middle school even later? Yes, a lot of research was conducted in this area and was part of all of our planning sessions. 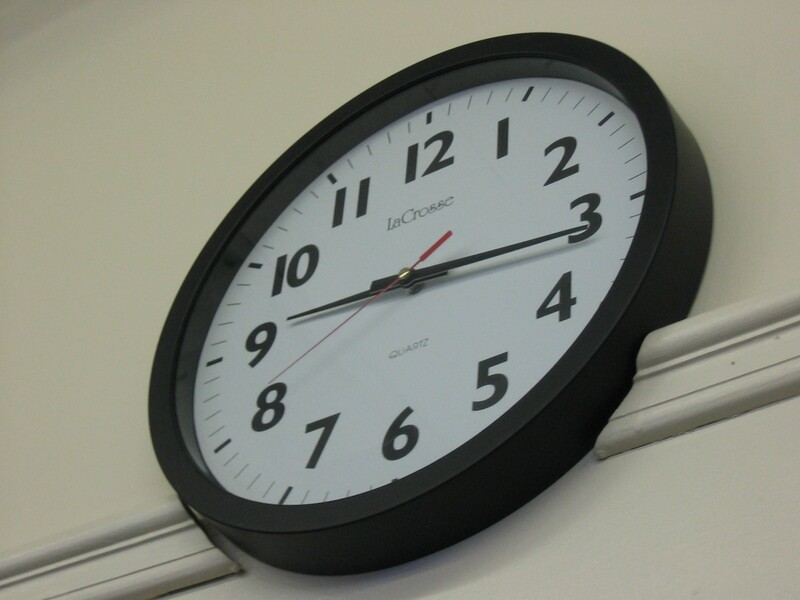 The national average for secondary school start times is 7:59. Our high school start time is at the average and our middle school proposed time is an hour later than this. Student safety was a high priority. Consequently, we also considered times when the sun rises and the sun sets during the course of the year. Moving elementary earlier or later in the day was a large factor in our final decision to make sure that elementary students would be able to walk to school during the best daylight hours while we simultaneously considered sleep research. Recent sleep research for elementary students was also studied. This study in the state of Kentucky shows that elementary students also benefit from later start times. Since elementary students are our largest group of students, this also factored into our decision. Middle schools extracurricular activities often start before the school day due to constraints on gym access. Moving the middle school day later in the schedule, will have a positive benefit for these students. In short, sleep research was found to benefit all students. We all do better with a good night of sleep. A good summary of some of the research on sleep can be found here. This article discusses the importance of sleep for everyone and also indicates that the academic benefits of changing bell schedules is smaller than many have previously indicated. All of these factors were considered together to make the best possible decision. Our final schedule has our high school at the national average (which is much later than many local school districts and ones across the state and nation). Additionally, it considered issues such as student safety, extracurricular activities, and recent research on elementary school start times.